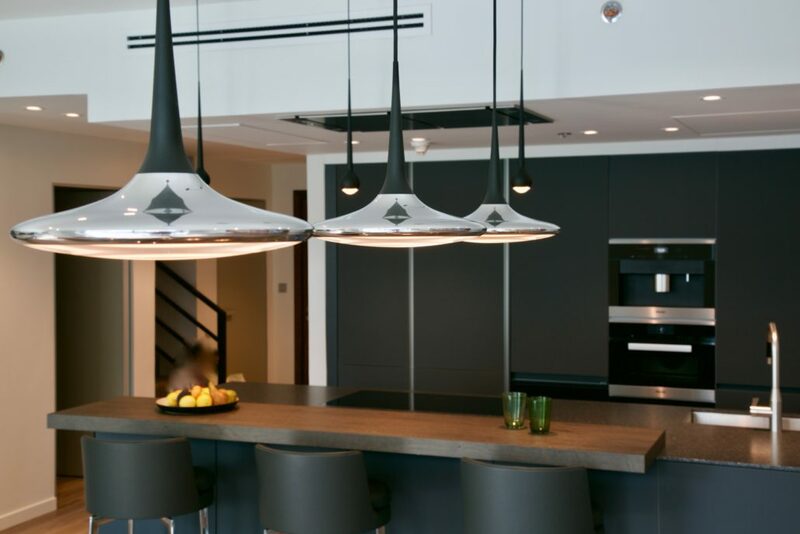 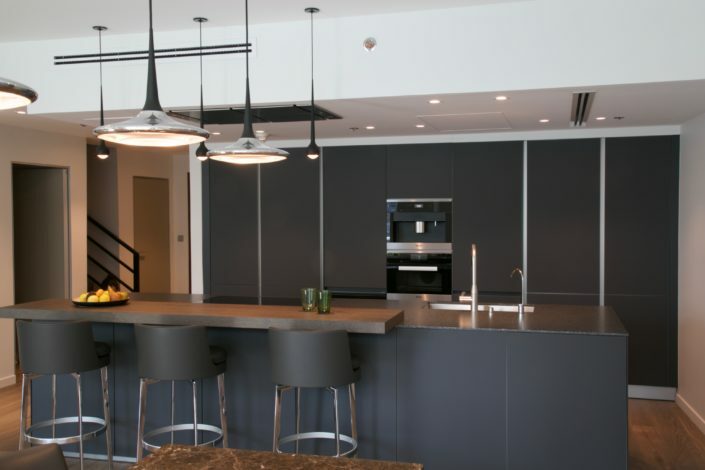 Looking for a darker hue for your kitchen instead of timeless white? This gorgeous apartment in Dubai Marina shows you how it’s done! We were honored to be selected to be part of this exclusive renovation project. 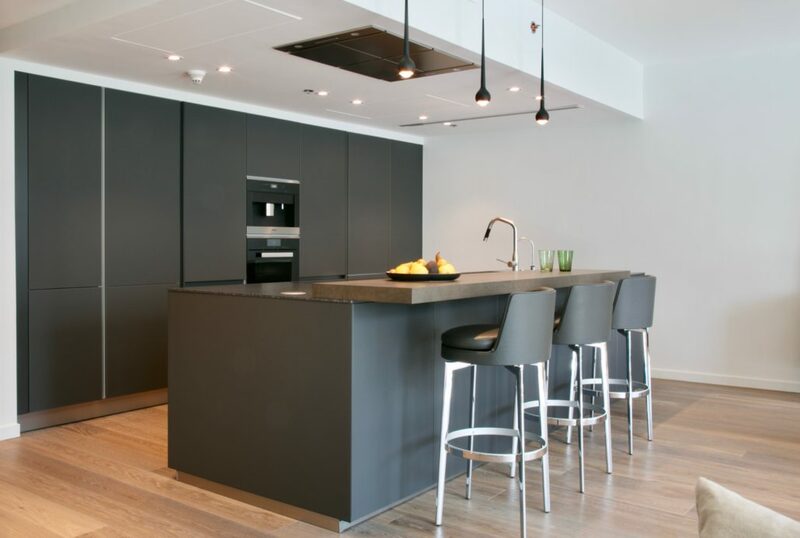 Our kitchen collection from next125 (by Schüller – made in Germany) offers a dark Lava Black kitchen in Glass Matt and opens up new design horizons. This is a surface that speaks luxury and sophistication for your kitchen architecture. 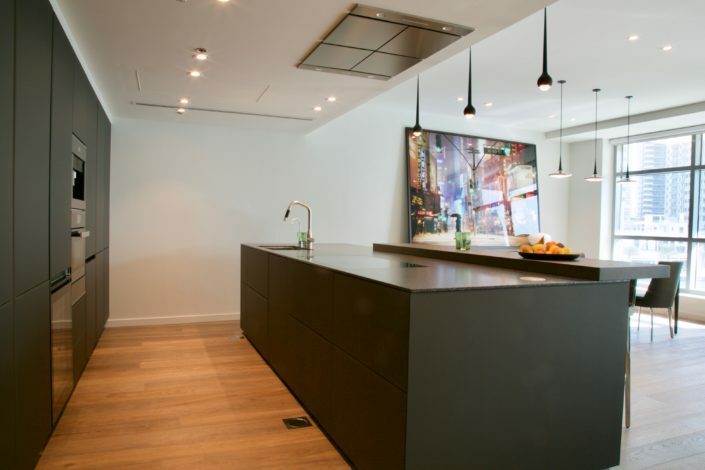 Together with a 5 cm low plinth, and a new cabinet height of 87.5 cm, the concept will spoil you with more design and and much needed storage space. 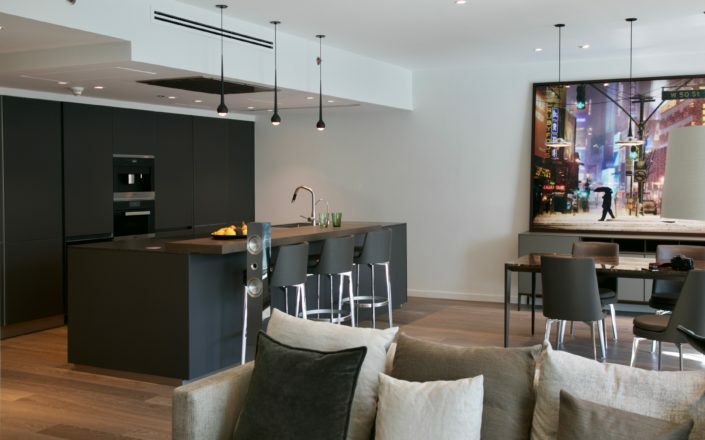 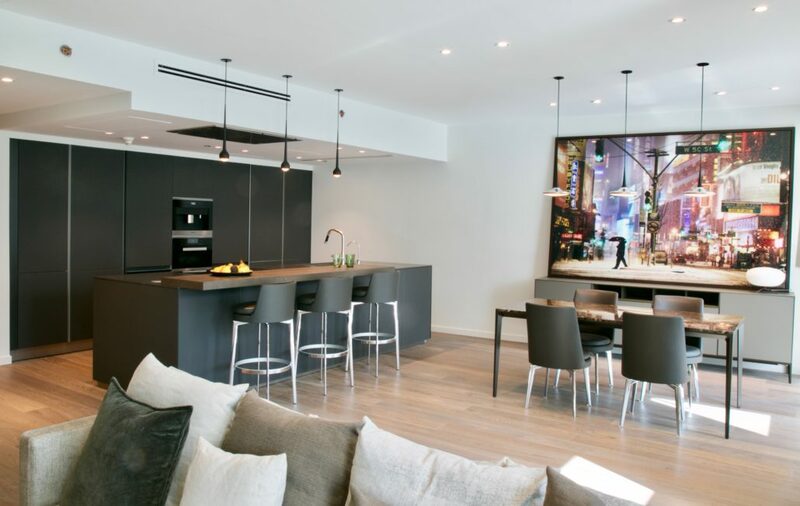 A complete handleless kitchen gives you this urban look with tip-on technology and is powered by the latest and top of the range Miele appliances. 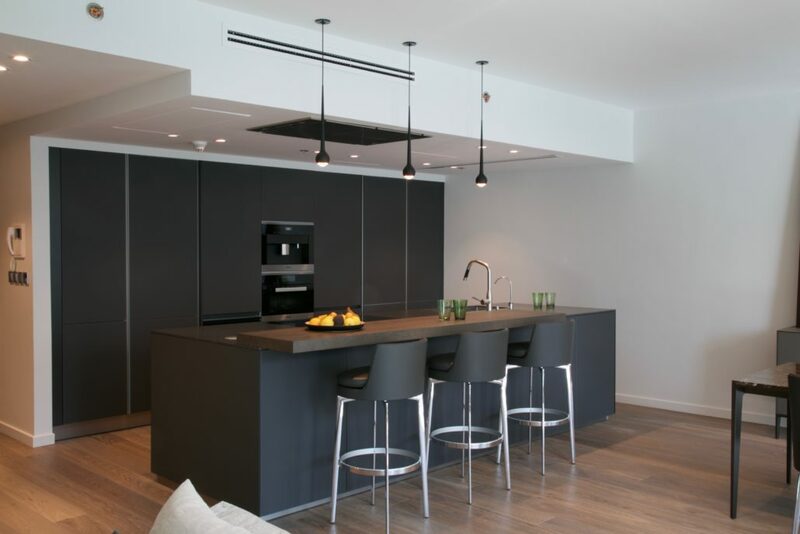 “We wanted a sophisticated kitchen that made a statement in our home and suited our life style. 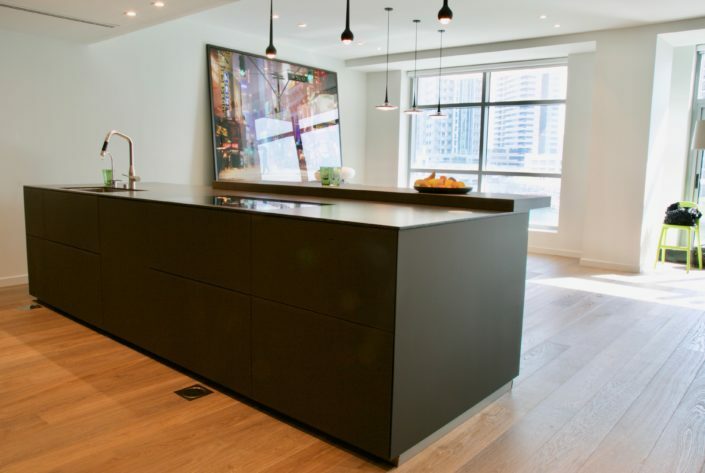 Our Dubai Marina home is bright and airy and we were looking for a sleek, urban looking kitchen that is unique. 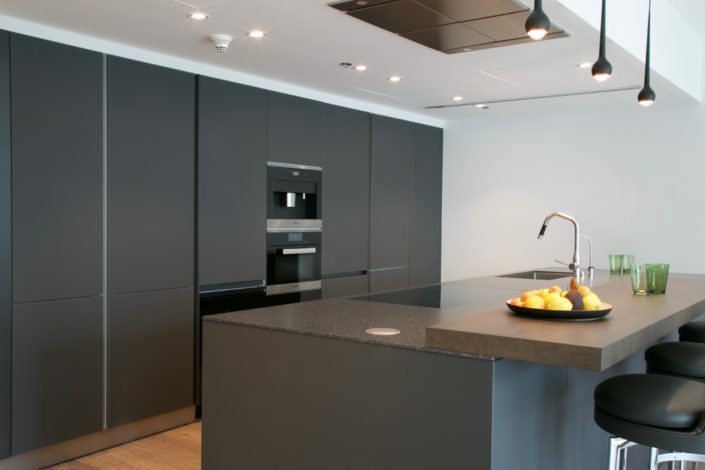 After visiting all the major German Kitchen brands in Dubai, we decided to work with GOETTLING INTERIORS due to their superb product, excellent knowledge in designing kitchens and great customer service.